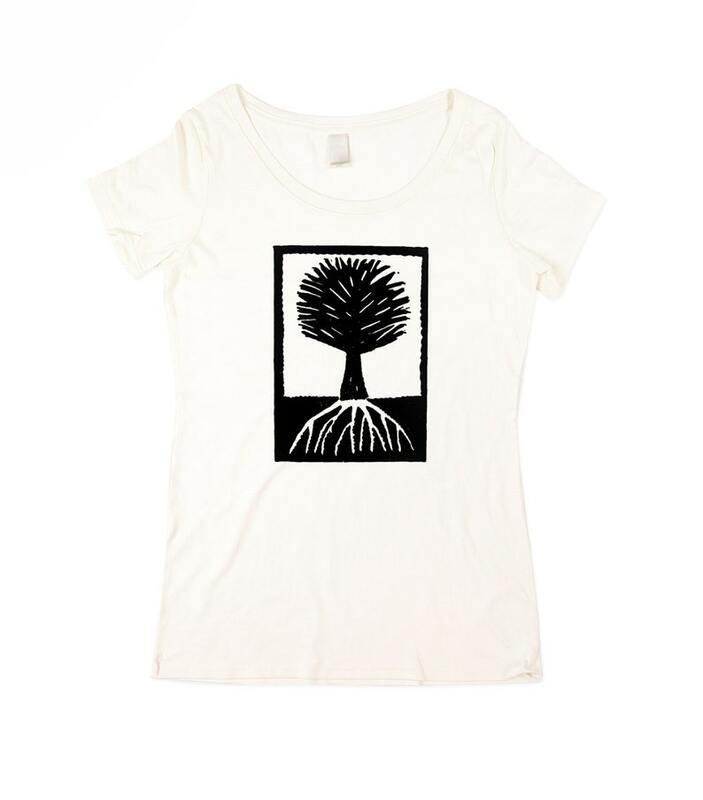 Women's natural white t-shirt with wood cut style tree print. Hand printed screen print for a nature lover. This series of inspiring t-shirts was created to celebrate the beauty of nature in the form of a super sweet tree t-shirt. Show how much you love tree planting. Buy a shirt, plant a tree.